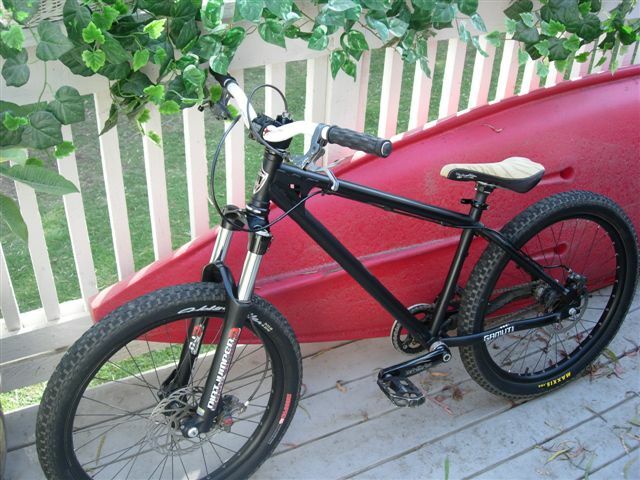 i am looking for a 24" bmx bike for street riding i have the eastern traildigger in mind but is there anything else out there thats 24"? This is my Steelhead which ive sold recently but I still own the Vuelta 24" wheels with Maxxis Holy Rollers. 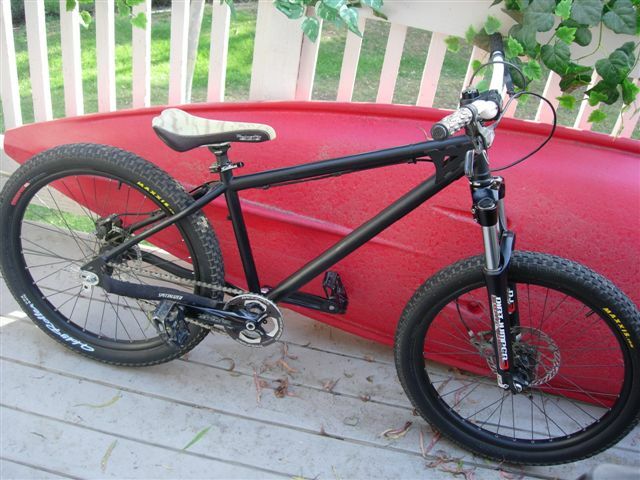 It was a great bike and can be run 24" or 26". It comes with Vbrake bosses that are adjustable for both wheel sizes. The steelhead can be found on ebay for as cheap as 140$ for the frame alone. Sunday just came out with a 24" street cruiser that looks pretty promising. Personally I think that Steelheads are overbuilt and heavy and don't ride particularly well, but that's just me. Why not just go for 20s and save a lot of money and get a more maneuverable bike? Dan's Comp has about 5-6 street oriented cruisers in their latest catalog. I'm looking at a few myself though I'm looking more for a race-oriented ride. I'll likely go after one of the Intense models. If I could convince my wife that I really need a third bike, it would be a 24" General Lee. A lot of newer/better bikes out now. The General Lee is a classic though. Overbuilt, yes. Heavy, ohhhh yes. I do think they ride very nice and love the steel feel.